flaiure, coronary heart disease, myocarditis, fatty liver, gout. Graduated from Changchun University of Chinese Medicine, Shi Zhichao, a medical master and senior doctor, is a member of TCM Sexual specialized Committee of China Sexology Association, chairman of Dalian Sexology Association and managing director of Chinese Medicine Association. Mr. Shi is also a professor in several famous universities, including Medical School of Dalian University, Liaoning University of Chinese Medicine, Changchun University of Chinese Medicine and Hei Longjiang University of Chinese Medicine. Doctor Shi owns 15 medical patents and takes charge of 12 scientific researches, of which 7 won award and 3 passed certification test. 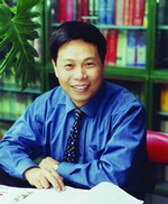 In addition, he writes more than 20 books about andrology,such as Chinese Sexual Medicine . Due to his remarkable achievements, Shi has won dozens of awards from government and various orgnizations.